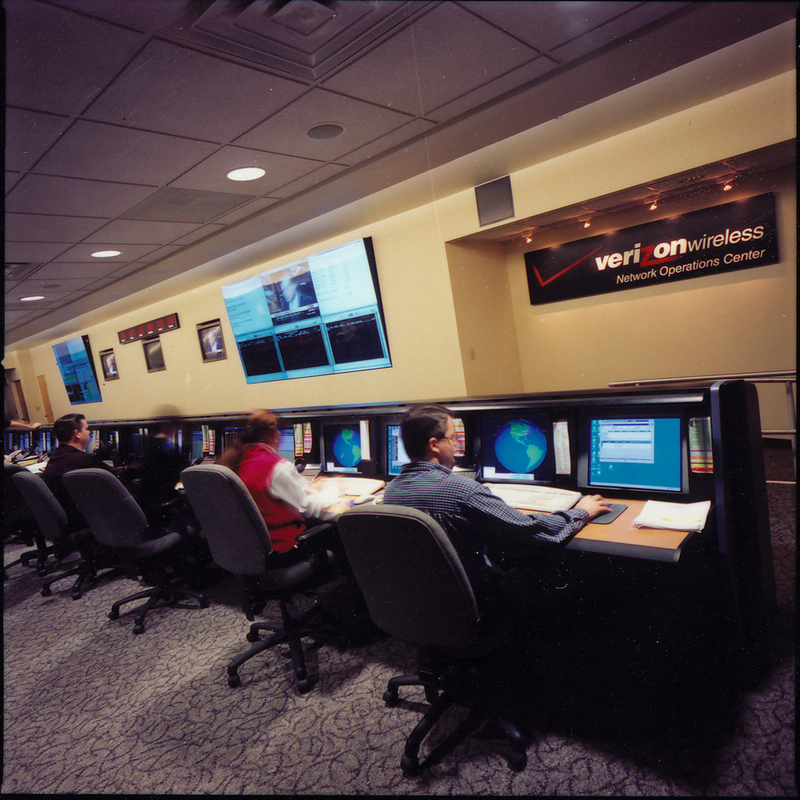 The on-going expansion of the Verizon Wireless network rendered the previous NOCC facility inadequate. 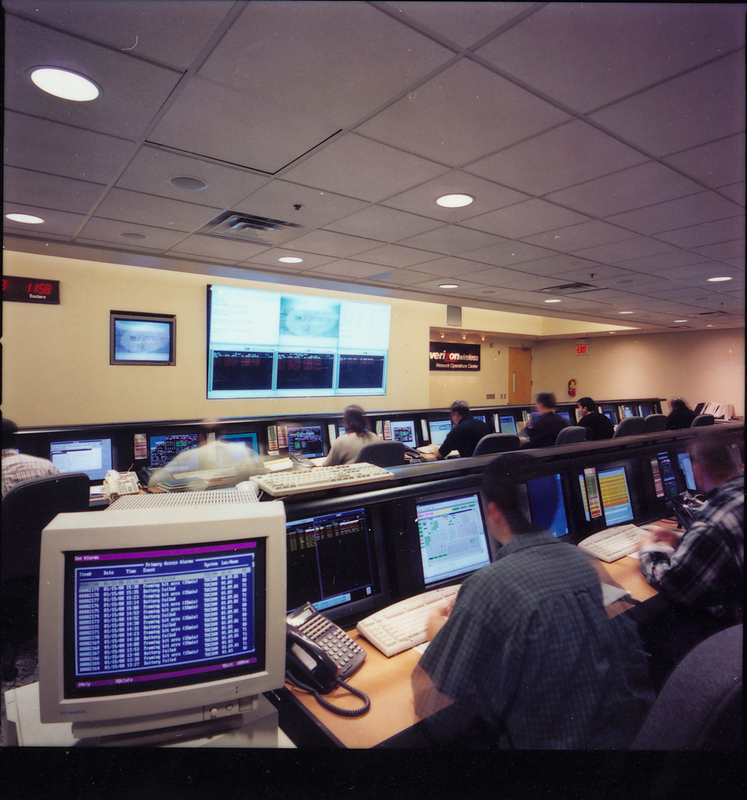 As the network’s command and control center, this facility monitors traffic and system reliability 24 hours a day, 7 days a week. In addition, the previous facility also failed to properly address a variety of ergonomic issues. To accommodate the required changes, an additional 6500 s.f. of space was integrated into the existing NOCC area while keeping the existing facility fully functional. This was accomplished successfully by designing the project in 4 phases and carefully coordinating the logistics of all disciplines within each phase. The new facility provides a more efficient space layout with greater ergonomic comfort, and a more advanced AV display system. Lighting and interior finishes have been upgraded, workstation consoles laid out for ease of use and comfort, and sightlines to the main display monitors at the front of the room have been improved. Soffit, cove, and indirect lighting have eliminated the previous glare and eyestrain conditions. The end result has been well received by both the users and corporate management, who have used it as a prototype design for other NOCC facilities within the corporation.